Get Leads. Get Customers. 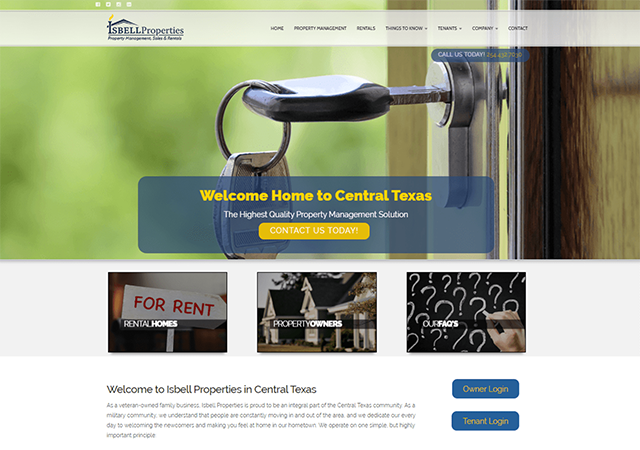 Get Revenue in Central Texas - Revolution Web Studios - Revolution Web Studios | 2019 - Get Leads. Get Customers. Get more Revenue! If your website or online marketing doesn’t motivate people to take notice and do something, it’s not working hard enough. That’s why Revolution Web Studios uses insight, compelling content, and technology to actively create lasting connections and relationships between people, products, and companies. How hard is your digital marketing strategy working for you? A series of discovery interactions will help you uncover hidden areas of opportunities in your digital marketing strategy, and provide actionable recommendations to get the best return on your time and budget. We love working with humans. Get Leads. Get Customers. Get more Revenue! We're a digital growth agency that understands that it takes humans to run your business or organization regardless of the size. Whether you sell products or services, you're providing it to humans - not robots! We specialize in relational marketing, building a powerful online presence, and clean websites that are not just informational, but websites that connect and are full of life for the best user experience. Not sites that the search engines like and humans hate. Getting you the attention you need to grow and dominate your market is what we do. Our approach is different than most in discovering, planning, creating, building, and designing to develop what gets humans excited about your product or service. Executing positive user based experiences and making connections that win you customers and grows your business. It takes an orchestra these days to reach your audience with the right message timely and relationally. We Build websites That are Simple, Clean, and Beautiful to Attract and Win Customers. Content marketing is all about getting humans to connect to your story about your products & services. We enhance your brand and reach both new and existing customers through being social. We help you build a plan to boost your leads and sales from online marketing using proven tactics. We have the tech to ignite intrigue and build excitement around your brand. People should be motivated and identify with what your brand means. It has to be more than a pen with your name on it. We make sure your reputation proceeds you positively, correctly and most of all accurately. "They said whaaaaaaa.......?" We are proactive with your data and customer service to make sure you have constant support right when you need it. Revolution Web Studios is by far the best website development team in the area! They created an amazing and easy to navigate website for my company! They also offer continued services like SEO and social media advertising. Jeremy and his team are extremely knowledgeable and I am grateful I found them when I did! The best in central Texas. Great website and great company! I simply cannot say how amazing it is to work with RWS. You will not find a more effective and comprehensive approach to website design, social networking, and marketing. Before RWS, I spent countless hours and wasted an unbelievable amount of money with other companies trying to put together a professional website and front-facing product. I had given up on the effort, but then I found RWS. You can take any idea or concept you'd like and they can put it together. Further, they will provide insight and suggestions that you would never have thought of, nor even believed possible. If I ever hear of someone or a company that needs this type of service, I ALWAYS suggest RWS. Every single one of those referrals has thanked me for connecting them with Revolution Web Studios. Revolution Web Studios created a website for my classroom. 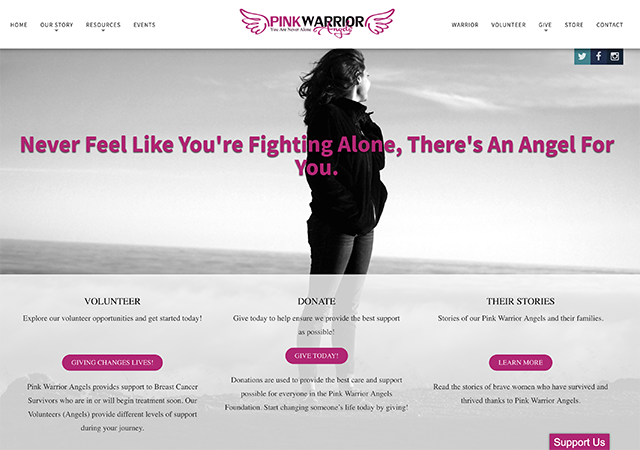 The website is amazing and Jeremy's team intuitively designed the website with my students in mind. The website has transformed the learning process for my students! Jeremy and his team at Revolution Web Studios are fantastic. The process began with an energetic phone call. We made an appointment with them at their location the following week. Having never had a website built, we weren't sure what to expect. Every team member was engaged in the conversation we had with them regarding what we would like to see, in comparison with what they could provide. We knew exactly what we could expect from his team, and although they build multiple websites at the same time, they were able to provide prompt, exclusive answers to ANY questions we had while our website was under construction. We brought many firsts to the table for them. 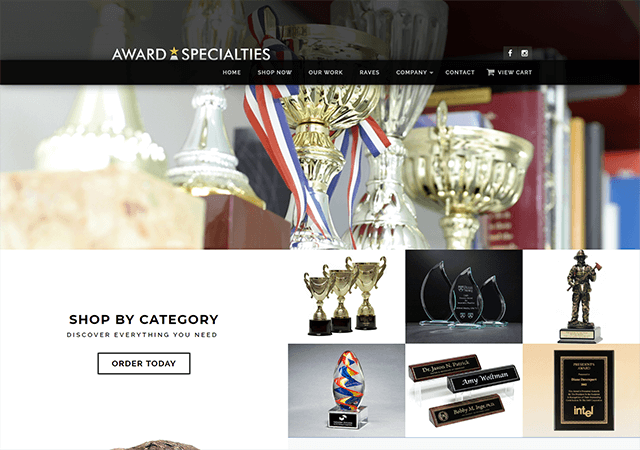 We challenged their team's creativity, and their abilities to provide a full e-commerce website, and they delivered 10 fold. I would highly recommend Revolution Web Studios to any size business looking to make an impact on the modern-day e-commerce or informational marketplaces. These guys are the best!!! If your looking for good quality work.. this is the place. Let them do what they do best! Build beautiful websites!! They just finished a website for us and DANG, it looks and works so incredibly much better than our previous site! 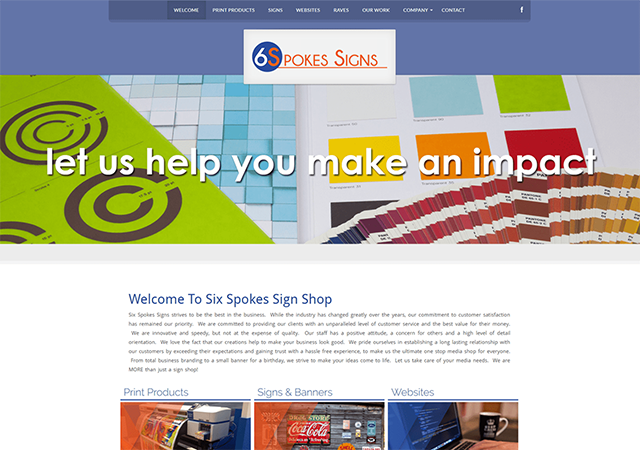 If you need quality, custom work done to improve the online presense of your business, definitely contact these guys. Revolution Web is fantastic to work with! I have worked with them on 2 different websites over the past couple of months and their enthusiasm for their craft shines through in the end product. I would highly recommend them to anyone needing web help. The support team is awesome! Do your business a favor, hire Revolution Web Studios. Revolution Web Is so very professional and respond to calls and questions and anything I need they are there at anytime!! I definitely wouldn't use another Website company EVER! Thank you Jeremy and Revolution Web Studios!!! We are in our second year in our floor care business and have already had experiences with 2 other websites for our company. The first website was not too bad, but I was looking to take it up a notch and went with a “marketing company”. Big mistake, turns out marketing companies are really not good at website design because they are not website professionals. After two bad experiences with marketing companies not delivering what I or my customers wanted in a website, I decided I wanted to invest in a professional service. I contacted Jeremy the owner of Revolutions Web Studios, who immediately offered excellent customer service and gave me the personal and professional guidance I was looking for. I sat down face to face with Jeremy and his team, (vs talking over the phone with people I never met in person) and we went through many different design options and features for the site. Then they went to work and when it was finished, they trained me how to manage my website. I realize this was a very smart investment into my business, because the result is an awesome site that is easy to for me to manage. The best thing is, I was not only able to support a local business, I actually have a website team for my business now because anytime I need assistance I can contact the guys at Revolution Web Studios for support. My recommendation is, that if you want a great website for your company or private organization give them a call. Jeremy and his crew at Revolution Web Studio is amazing! They create a user friendly website for the company I worked for and is always available to lend a hand with any problem that arise. I would suggest any business who is looking to update their website and create a user friendly site to give them a call! 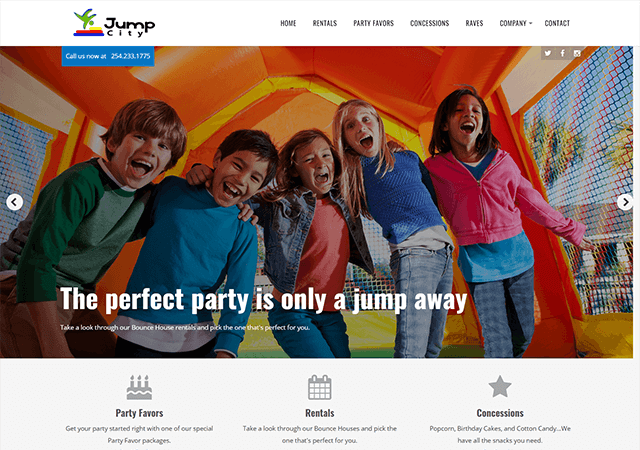 My company had Revolution Web Studios create a website for us, and they went above and beyond to create an attractive and user friendly website. I am so appreciative of the time and energy Jeremy spent training our staff and being available to answer our questions. I would recommend Revolution Studios to anyone that wants a unique and professional website for their business. We have been working with Revolution Web Studios for over a year now, as our website has been a challenge on my part to complete content. Jeremy and his team have always been patient, and available, even after hours. We are very excited about the design of our site and the massive potential of increase in business. Great job all! Great job! Great staff and very good at what they do. This company will make sure that your website is relational. Your customers will truly understand what your company is about. Truly revolutionary! Jeremy and his team make the process of establishing and sharing your story on the world wide web fun, exciting and easy. They have now assisted me through the construction of two websites for two entirely different businesses, and I am constantly recommending them to friends and family. As a novice to website development who was completely intimidated by the process, Revolution Web Studios empowered me with the tools I needed to share my story...and they continue to walk beside me as that story evolves. Revolution Web Studios have been absolutely wonderful to work with. We were not only impressed with the website they set up and designed for us but also with Jeremy thorough training and professionalism. We are excited to continue working with Jeremy and the other staff of Revolution Web Studios on our website in the future. Thank you to the whole team! Paralegal of Law Office of Hubert Bell Jr. It has been a pleasure working with Revolution Web Studios. They took time to learn about our company and what was important to us before creating a website that was perfect for us. They are professional and took time to help us with each step of the process. I cannot recommend them highly enough. I can honestly say that the idea of having a web page was terrifying for me. 2016, I joined the world of social media and was quickly enlightened on just how tech savvy I was not!!! I had a few quotes to get one done and most of the language was foreign to me. Jeremy and his team were able to break things down to me in everyday language where I was comfortable to move forward with getting a site. The experience was seamless and while I am still NOT a tech-savvy individual, the team at RWS are extremely available to answer questions and put me at ease should an issue arise. Thank you, Jeremy, Kyle and Oliver for all the heart you placed into my journey and for putting up with my paranoia and easing my fears. Website rocks! Revolution Web Studios is absolutely the best. From start to finish, I was kept informed of how the process was progressing and brought up to date on everything that was being done. They took the time to sit with me and explain, in a language I could understand, what all was going to be involved with building the perfect website. Their timeline for getting it done was right on. They asked for my input on everything and got my okay before moving forward with it. When it was finished and I looked at it, I couldn't believe what I was seeing. It's the most beautiful website I've seen. They took such care with every single part of it. They then trained me how to add to it, also in a way, I could understand and have been at the other end of the phone each and every time I've called with a question. I strongly recommend them to do any and everything you need and to do it perfect. Jeremy at Revolution Web Studios has a fantastic energy level that pulls you into his world. You want to know who this fantastic person is and you should. Don't go another minute without getting to know him! While working with Revolution Web Studios on two websites for my companies, I learned so much about the process of setting up a website. Jeremy has extensive knowledge on the subject of website design as well as many other software packages. He has skills that would be very beneficial to any organization or company such as people skills, leadership, positive, trustworthy, honest, integrity and very creative. Jeremy stayed on top of each project until completion and then was always available for questions or further training. Revolution Web Studios is a great asset to any organization. Revolution Web Studios made the website for my salon. They carefully showed me how to easily manage it after it was completed and followed up when ever I needed information. I recommend the work of Revolution Web Studios. These guys are savvy in web design development alone with teaching the concepts needed to get your website up and running! You cant lose with Revolution Web Studios. You get a company who wants to be personable and creative for you. The best part is the value, I feel like I walked away with more than I paid for. When it comes to website design/development for your business, it takes more than just technical know how. Not only is Revolution Web Studios full of seasoned professionals in their field, but they come along side your key stake holders and start with learning about your business. They incorporated the heart and soul of your business into the website so that it accurately represents your image, clearly communicates your products and their values, all within the context of where art meets technology. In short, Revolution Web Studios can translate your business needs into the highest quality, high-tech yet easy to use modify website. Top qualities: Great Results, Personable, High Integrity In March of 2008, I hired Revolution Web Studios to develop and manage a website for a lake view resort that I owned and operated in Lake Whitney. The product delivered exceeded all my expectations and was completed prior to the specified deadline. They were always responsive to our service needs, and did a fantastic job of training our employees in all aspects of the website. Jeremy is an excellent trainer and communicator. He was not only helpful during the creative process, but also adapting to numerous changes that we needed done. We knew we could always depend on the RWS team to deliver a superior product. They are outstanding, they take you by your hand and lead you in develop your own website. In the world of web design and development, trust is that word that comes to mind. E-Commerce and Web Design is an area that many small businesses rely on professionals like Revolution Web Studios. I was fortunate to have a client refer me to Revolution Web Studios for a small project. They exceeded my expectations in every area. If you are ever looking for a company to provide web related services, Revolution Web Studios is a name you can trust. Jeremy with Revolution Web Studio have been amazing in the building of our website. From start to finish they were quick to respond with any concerns or questions we had along the way. Through their website training, we feel 100% confident in maintaining our site going forward. Most importantly, they took our vision and our mission, and truly built a site that reflects both perfectly. 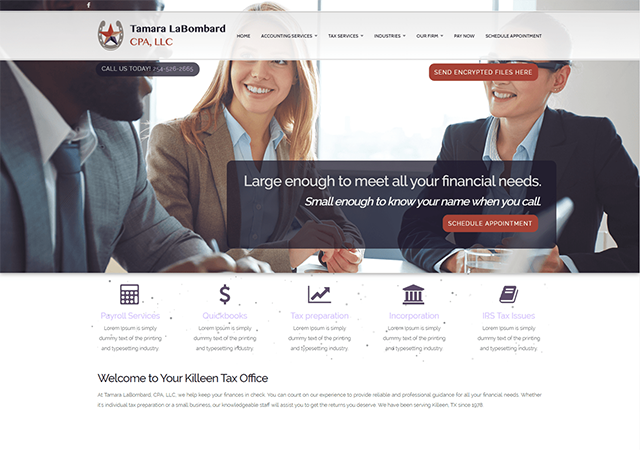 We are so incredibly happy with our new website and so appreciative of their hard work and dedication to providing us with a site that is both beautiful and easy to navigate. It was great working with Jeremy at Revolution Web Studios. 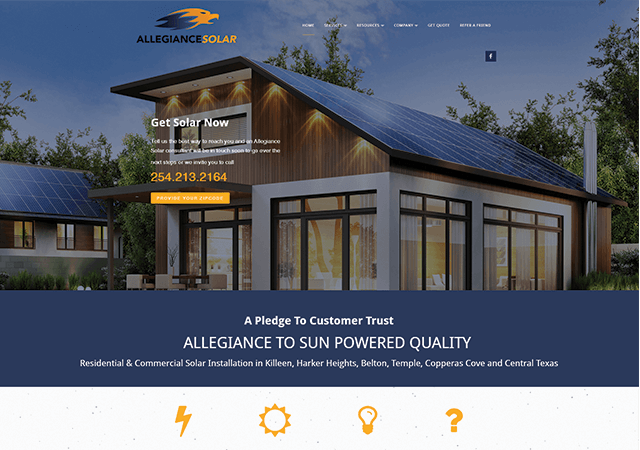 We needed a fresh look to our website and the guys at Revolution Web Studios had great and innovative ideas to help us get the look we were wanting. They have great customer service and will always make sure you are happy with your product and their service. Revolution Web Studios has helped us take our website to the next level. Our new website is live and amazing. Special thanks to Revolution Web Studios! If you are considering a new site for your church or one of your non-profits, please consider Revolution Web Studios for your bidding on your work. While the talent at Revolution Web Studios is a little unorthodox, they do great work. With their total combination of experience, technology, and price, I think you will see a great value in letting Revolution Web Studios create your next website. Give them a call! Pastors Joel & Christina G.
Jeremy is probably one of the most energetic guys I know. He loves his job and loves helping people get what they want out of their website designs at Revolution Web Studios. Everything I've seen of his website development results ROCK! I would highly recommend his expertise for any website project you have! Marketing Director of Direct Marketing Co.
You and your team knocked it out of the park! I only wish I had you design my site years ago. I could not be happier or more impressed. It was a pleasure working with Revolution Web Studios. I was particularly impressed by their system and methodical approach to capture everything I do and to reflect that in a professional and attractive style. You are a true professional and expert in your field. You have earned my trust and respect. I look forward to outstanding results because of you! Thanks!! Let's Roll! Revolution Web Studios has exceeded our expectations in developing a stylish, modern and quality website. Their customer support is impeccable . Our website was developed with much though in every aspect of it's content. They guided us through every step of the way and led us to ideas we never even thought of. Great Service and definitely recommend Revolution Web Studios. Getting Revolution Web Studios to design my new website was a great decision. Jeremy's personal interview with me spoke volumes. 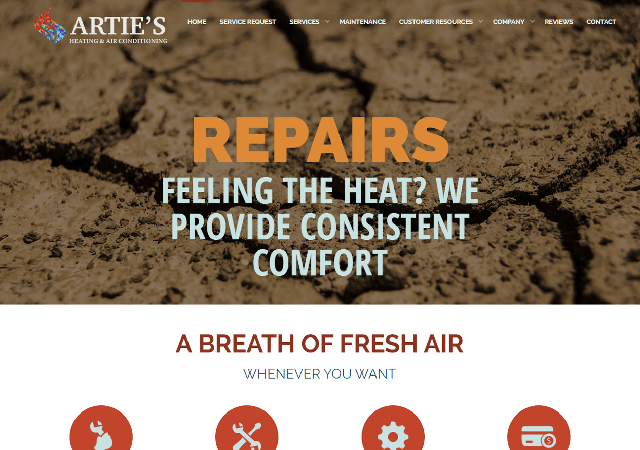 He wanted to see this firm's vision and put that into the heart of the website. They truly care about bridging the gap between your company's vision and meeting new clients. My prior website didn't convey my heart. Now I have something that looks nice, modern, and conveys the spirit/ethos of my business. I highly recommend Revolution Web Studios to anyone looking for that next step in building their business! Jeremy with Revolution web studios has taken both of our outdated company websites to an entirely new level. For our Hughes Capital Management website we needed an upgrade and requested detailed specific designs. The RWS team's expertise and professionalism exceeded our expectations. The website was exactly what we asked for! Our second website we didn't know exactly what we wanted. Revolution web Studios gave us a lot to choose from and worked patiently with us to find the perfect fit. From there Revolution Web Studios came up with our amazing Lake Austin Marina website. 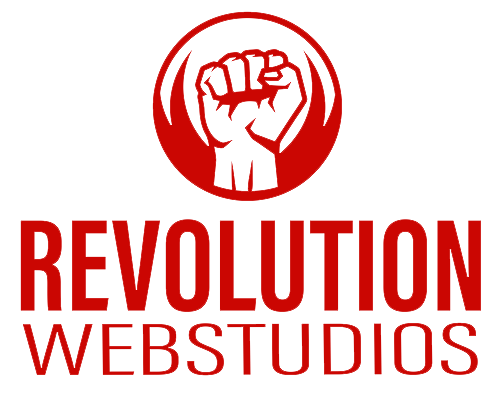 We are lucky to have been referred to Revolution web studios and will be a customer for a very long time. During our corporate branding transition, we needed a partner who could assist with the creative components needed for a large marketing campaign. Jeremy and the design team at Revolution Web Studios were pivotal to our success in doing so. Their professional approach to our needs was both on time and on budget, resulting in outstanding results for our website. I highly recommend Revolution Web Studios to any company who relies on website traffic for their business. Creating a website seems daunting, confusing, and overwhelming to me. Yet working with Jeremy and his staff I have to say the opposite is true. They're able to make the process fun, informative and the results are outstanding. I don't want to understand all the intricacies of how to build a website I just want it done. And they are able to take my desires and wants and create an end product that looks better than I had envisioned. I also appreciate how they look out for me and my company site to make sure nothing happens to it in regards to hackers or all the other possibilities that are out there. If you are looking for a website that exceeds your vision, I highly suggest you call revolution web studios. They can make it happen! Revolution Web Studios qualities include personable, good value, and high integrity. I was interviewing web developers and two trusted web industry contacts referred me to Revolution Web Studios. Jeremy is a website developer at Revolution Web Studios who had the experience I needed to implement a Joomla CMS website. Reasons for selecting RWS included: design aesthetics, crisp sharp photos, quick page load times, interview conversations, and RFQ price was in alignment with my budget goals. The RWS team executed the terms of our contract within the stated timeline, budget, SOW, user training & hand-off, and delivered intended aesthetic "look & feel". In addition, they provided some needed flexibility and assistance that was beyond contract requirements. 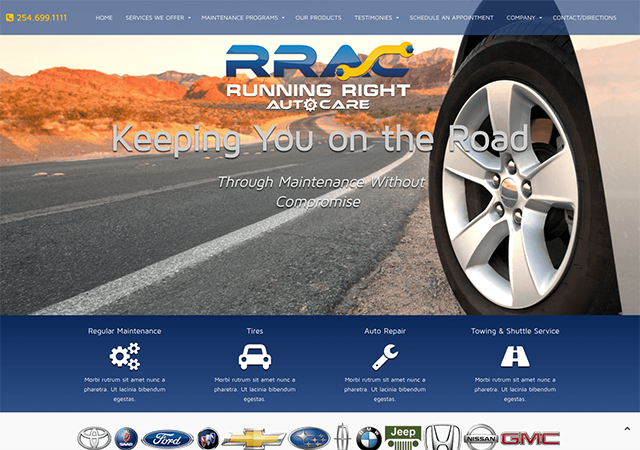 I couldn't have picked a better company to make us a new website to replace our old one. Jeremy and Revolution Web Studios was a great help with ideas and getting the job done. I got great results and they were personable and super creative.